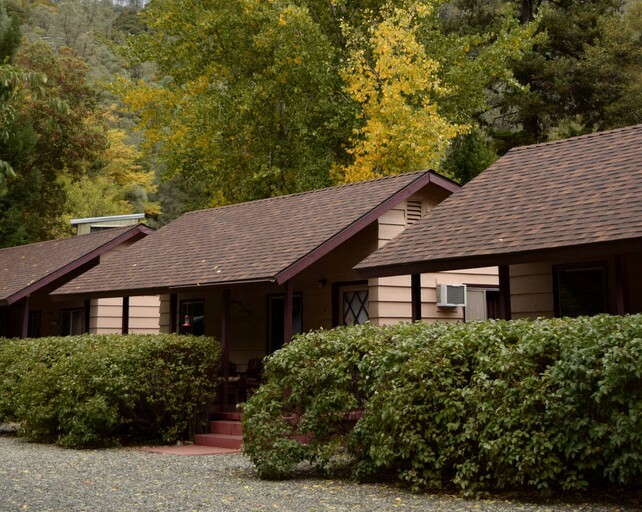 This wonderful cabin rental is located near Junction City in California. 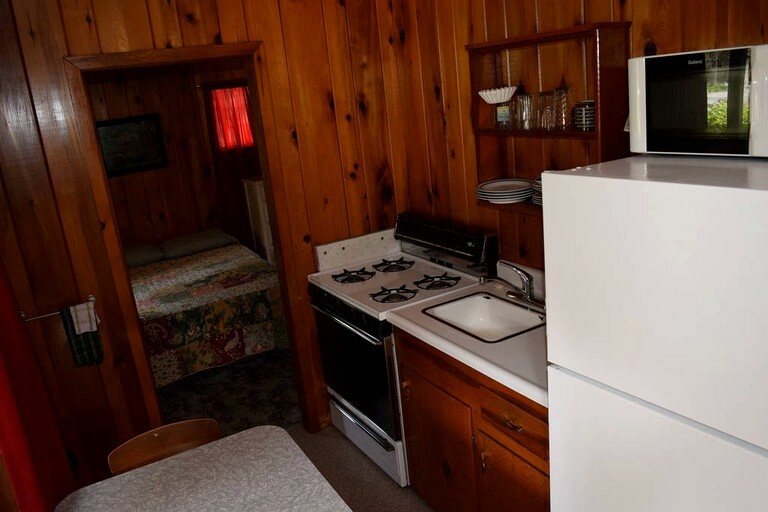 This cabin rental is fitted with a queen-size bed and a full-size and can sleep four guests and offers a rustic decor for an authentic camping getaway. There is a full kitchen that is well-stocked with plenty of helpful utensils. 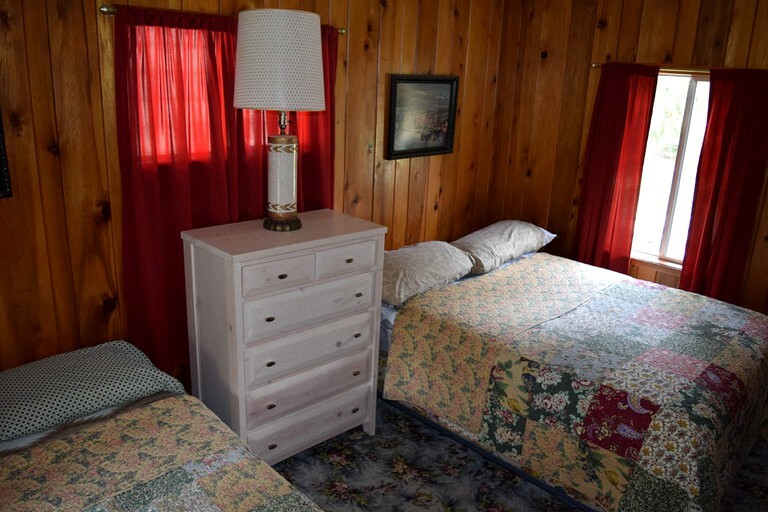 Glampers will also have their own private bathroom and there is both air conditioning and heating to keep the rental comfortable no matter what the season. This property offers a wide range of amenities to ensure that guests can relax in style. 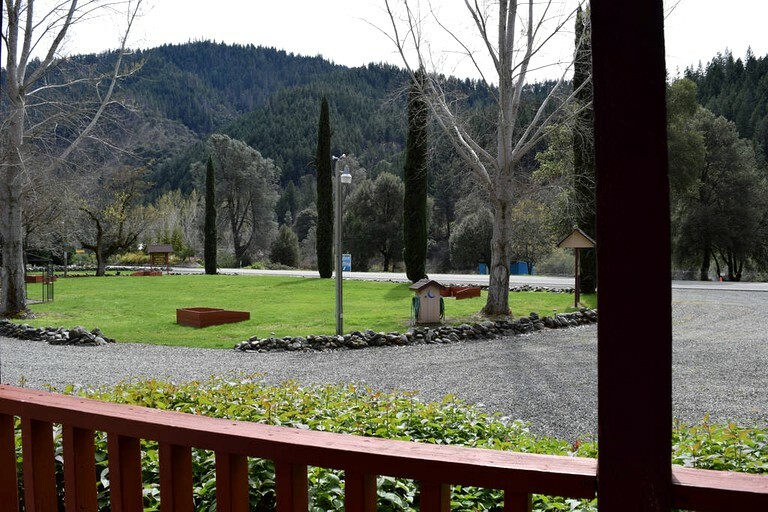 There is a large grass yard where guests can enjoy a picnic with the group or a have a game of horseshoes in one of the two pits at the property. 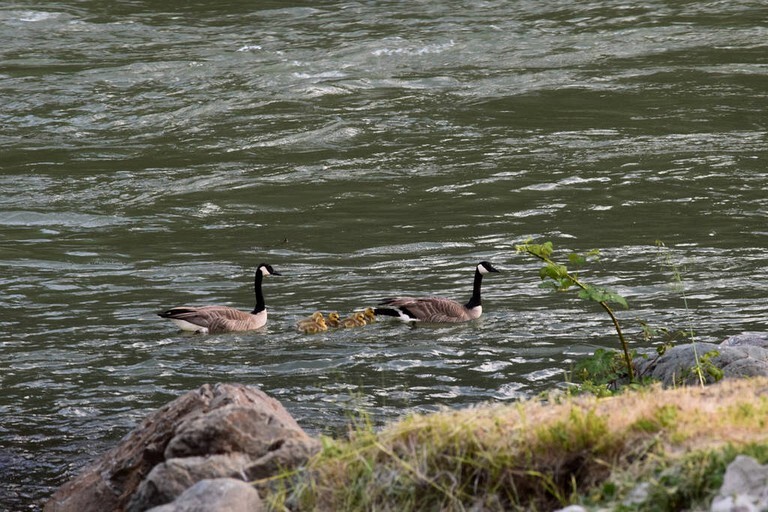 Glampers can take advantage of the private river access for swimming or fishing and make use of the fish cleaning station to prepare their fresh catches for dinner. This wonderful glamping property can be found in its own secluded setting in the rural town of Big Flat in California. The cabin sits on the shores of the wild and scenic Trinity River, offering the perfect mix of beautiful views and exciting activities. Guests will be able to head into one of the nearby towns for dining and shopping options, with Junction City just a short distance away. The rural setting of this cabin means that guests will be able to get lost in nature during their getaway. They won't have to travel far to have fun, with many activities offered right on the property. This even includes fishing, so guests should be sure to bring their gear. There is also a rafting company located right across the street. Guests can get a discounted rate and catch a thrill while heading down the river. At nearby Trinity Lake, there are boats available to hire if guests would like to get out on the water. In addition, hiking and cycling are wonderful ways to explore the hundreds of miles of trails that surround the property in the nearby national forest. For something a little more relaxing, guests can sign up to enjoy a massage during their stay. Check-in is between 3:00 p.m. and 5:00 p.m.
No smoking in any cabin deep cleaning fee of 250 if you are found smoking.